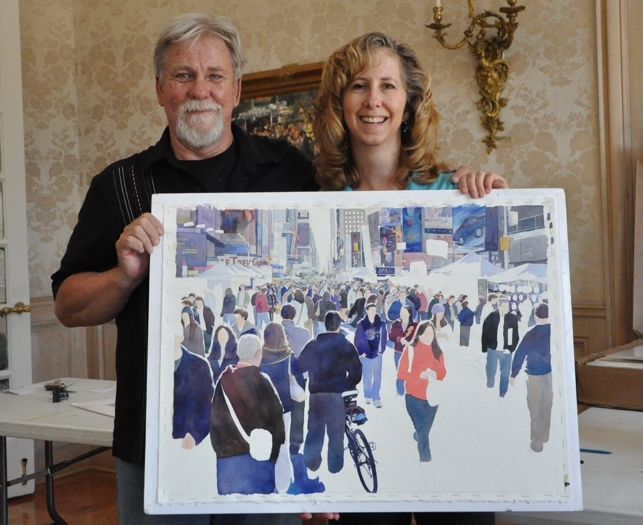 I just had the best three days taking a workshop with watercolor artist, John Salminen! 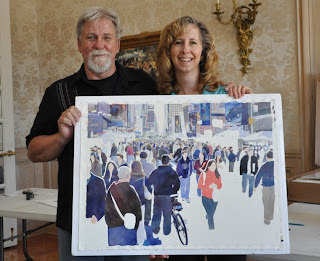 You can see John and myself in the photo along with my workshop painting of a New York scene in Time Square. My painting isn't finished yet, but I took on a very challenging scene for a three day workshop! I think the next workshop I take, I will pick a less intense piece. Hi Lori - looks like a great workshop, I have always admired his work. Love your painting! Nice painting, Lorraine, and congratulations on the workshop as well. I really enjoyed it too. Also, it was great meeting you in person. Cheers.